The thing that’s changed my editor use in the last couple of months is iaWriter Mac and iOS adding iCloud support, even more deeply integrated than Apple’s own applications. iaWriter is the first writing program I use to move to the iCloud future (though there are some games and other programs that also sync via iCloud already). Where the iCloud thing gets really cool is if you are running iaWriter on both iPad and Mac. On iaWriter Mac, you get a command in the file menu for iCloud, which has a sublisting of all the files iaWriter is managing in iCloud, along with commands to move the current file to or from iCloud. When you make a change to an iCloud file (on the Mac side, an explicit save, on the iPad side an automatic local save), it is automatically sent to iCloud and pushed to the other site. No different from Dropbox, you say. True, except that the iCloud sync behaves much better if a file is simultaneously open in both apps. The changes just appear in the other app. You can put the iPad and Mac next to each other and go back and forth between the two with only a very slight pause while they sync up. This may seem esoteric, but since I tend to have several blog posts on progress in open windows on my laptop, I do wind up regularly using the iPad to edit an open file. The iaWriter iCloud sync is noticeably less annoying. It’s not all sweetness and light, especially if you are a really heavy creator of text files. There is no such thing as a folder in iCloud land, which will eventually become an organizational problem. Worse, there’s an implied lock-in to using iCloud that seems to miss the point of using text files in the first place. When you move a file to iCloud from the Mac, it moves the file to the iCloud hidden directory, which I think is somewhere in the library directory. Although it doesn’t technically vanish from your hard drive – if you can find the file, you can open it in another application (for what it’s worth, the Alfred launcher can find the files), the clear intent is that the file is in a place not to be touched by applications other than iaWriter. On the iPad side, the situation is worse. If a file is in iaWriter’s iCloud storage than no other iPad app can see it. (To be fair, it is relatively easy for iaWriter to move a file from iCloud to Dropbox from either device.) I don’t know if sharing files between applications will be possible when more applications support iCloud, or whether iCloud is strictly sandboxed. And hey, for a lot of things, this limitation isn’t an issue. If you are using a tool with its own format, then it is less of an issue that other applications can’t see it. Even with something like text, if you aren’t the kind of crazy that needs to open a file in a gajillion different editors, you are probably okay. If you are using text specifically because it’s easy to move around between different programs, and you have a workflow where a file will commonly be touched by different apps, then iCloud is going to get in your way a little. As for me, the iCloud support has made me use iaWriter more often for blogs and short notes. (Though I still use Textastic for more structured stuff on iPad.) I always liked iaWriter, but for a while it was just really bad at sync compared to other iOS editors. So, despite some quibbles about what happens in iCloud when I have dozens of files that I want to share among different apps, right now, the sync is good enough to make it valuable. So, back in the summer when I started my bizarre quest to edit my book on the iPad, I had three requirements. Support for editing HTML/XML files, syntax coloring, extra keys, something like that. TextExpander integration to make it easier to type the markup tags. It quickly became clear that I was the only person in the world looking for this exact set of features. There wasn't any editor that met all those requirements, so I bought a bunch of other editors and obsessively reviewed them on this very site. Naturally, because sometimes the universe loves irony, a new version of editor meeting these features was released a mere week after I turned in the final draft. It's called Textastic, and I'm typing on it right now, though I'll probably edit this in MarsEdit later. Summary: Textastic is nice. It's got some features that I really like and an overall feeling of being polished. I think it would work fine to do some basic editing on a code file, though it's obviously not TextMate or Vim. As a writing/blogging tool, it's close, but I think it's a point releases or two away from being fully baked -- it's about 80% baked at the moment. Now here's the part where I give enough details to let you know whether to spend your money. Textastic is $9.99, which isn't a lot in the absolute sense, but is more than some of the other tools that I'd be comparing it to. I'm noticing kind of a conceptual split among the cloud/dropbox text editors. Some, like PlainText, try to make it feel like you are actually editing the file on the remote server, primarily by automatically saving the file to the cloud. Others, like iaWriter, clearly want you to feel like you are editing on the iPad, and only backing up to Dropbox when you want. Textastic is clearly in the latter group. Pressing a globe-shaped icon from the main display flips the text edit pane over to reveal a dual-pane file browser. Local files on the left, remote files on the right. Remote files can come from Dropbox, FTP, or WebDAV, and you can download them individually or folder-by-folder. The file structure on the iPad does not need to match the file structure remotely, which is nice. Even better, Textastic keeps track of the remote source of each file. When you are editing the file, the standard-looking export icon allows you to easily upload or update the file being worked on, making simple what might otherwise be a pain. It's easy to download, say, an entire Rails project at once, but you are going to want to delete a lot of directories -- Textastic will even grab the Git subdirectory. Actual file editing is largely what you'd expect. Easily reachable and usable settings allow you to choose from five monospaced fonts, set the font size, plus turn on or off auto-correct and TextExpander. You can also pinch in the text edit field to zoom in, effectively increasing or decreasing the font size. This is more effective than I would have thought, although it does have what seems to be an unpredictable relationship with the actual font size as you set in a dialog. Textastic has syntax coloring for just about anything you'll want, and even better, allows you to specify the syntax for each file. There's a find and find-and-replace dialog, and line and column position is discreetly displayed in the upper right. The soft keyboard has an extra set of keys containing programmer specialty punctuation, including parens, brackets, braces, and greater-than less-than, making HTML typing possible. HTML and Markdown can be previewed in the app. There's a lot of features here and they are nicely tied together. I'm finding Textastic to be decent at tweaking existing code files, and I think I would have been happy to edit or write Prag book files (which are essentially XML) on it, especially with a little TextExpander love. Using it as a blogging tool, though, exposes some weaknesses that will hopefully be addressed in point releases -- there are a couple of bugs around auto-correct, and some typographic things about spacing when it's wrapping long lines. Both of those are kind of minor. One thing that is weird is that the text field is noticeably sluggish. Typing on the bluetooth keyboard, I can easily get a word or two ahead of the display, and I can even get a little ahead of it on the soft keyboard -- I assume that the calculations for syntax coloring are slowing it down. This can be frustrating combined with the autocorrect bugs. Still, those are minor quibbles in what is overall a useful app. As an iPad code editor, it's the best I've seen, and it's very close to PlainText or iaWriter as a quick typing app. I'm looking forward to see where this one goes. I have something like eight different apps on my iPad which are text editors or note takers of one form or another. Plus I know of at least one more that I'm waiting for. It's possible I have a problem. I really want to be able to use my iPad as a writing tool -- the best apps are super responsive, and I like the ergonomics of using it with the Bluetooth keyboard. Making the iPad a useful writing or editing tool makes it much more useful for me. Which brings me to Elements, the latest in my string of writing apps. (The name comes from Strunk & White's Elements of Style). Elements is a text editor that backs to your Dropbox account, in many ways similar to DropText. Elements does not expose your entire Dropbox, instead it maintains its own folder and synchronizes it. This is a big DropText advantage, since one of my big use cases involves using files that are already stored elsewhere in my Dropbox. Elements is limited to text files. And I mean really limited. If you put a file with an extension other than .txt in the Elements folder from another machine, Elements will ignore it. Another big problem for me, since it means I can't edit book files from Elements without pre-placing them in the Elements folder and change their names before I start. That said, I like Elements for its other features. Elements auto-syncs back to Dropbox every minute or so. Droptext, I think, requires a manual save. Elements allows you to change font and font size. Double yay. (One setting for all files.) I like messing with fonts, and I normally prefer a larger size than most applications provide by default. Especially in my normal iPad typing position. You can email your file out, which makes it a plausible blog tool via WordPress to email. It maintains a word count overlay, which is handy. It has a little scratch pad, which I think is common to all files, and doesn't seem to by synched. Still, I suppose it's kind of dandyish. Subjectively, it feels more polished than Droptext (it's also more expensive). The UI is a little cleaner. So... Elements seems to be a nice tool for my blog use case, but a lot of other uses I have require general access to Dropbox. (Though I suppose it'll depend on whatever Scrivener's Dropbox support eventually looks like). So far, though, I like it. 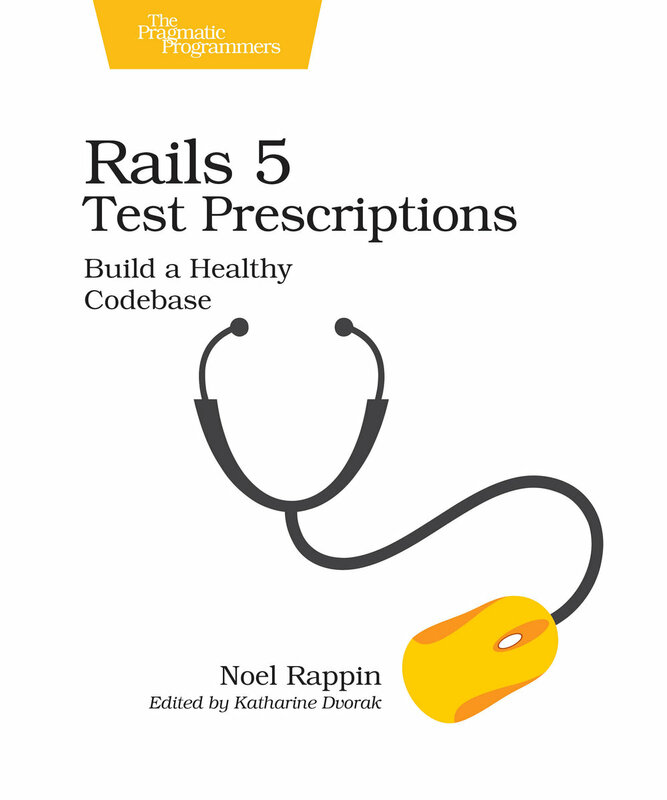 Beta 4 of Rails Test Prescriptions is now available, with two new chapters, one on Rcov and coverage in general, and one on writing better tests. Buy here. While I'm in the self-promoting mode, the book is also available for pre-order at Amazon and other exciting locations. And while I'm here, I should mention that Obtiva has updated their training schedule. Obtiva offers a 4-day Boot Camp for learning Rails and TDD that will next be offered August 2nd through 5th. There's a brand-new Advanced Rails class that will be August 30th through September 2nd, and a version of the Boot Camp that meets weekly on Mondays starting September 20th. Obtiva also offers private versions of our courses. See http://www.obtiva.com for more info. For some time, Joe Ferris had a fork of the Mocha mock-object tool that allowed mock spies, which let you separate the definition of a stub from the expectation of how the stubbed method will be called. This makes it easier to use mocked objects in a single-assertion test structure, and also makes mock tests easier to read. Anyway, Ferris has split out the spy part in a separate gem called Bourne, which should be easier to install alongside the standard Mocha gem. Yay. Kent Beck has finished up his series on survey results about practices with a post on commit frequency and one on general practices. The general practices one is interesting, showing that about 50% of all respondents claim TDD, while about 70% claim to use iterations. All of which sort of reminds me... a few years ago, when I worked at a major telecom company with a reputation for major waterfall development, I attended the "agile" track of an in-house seminar on software techniques in use at the company. Everybody in attendance there claimed to be agile, but only about 1/3 (by show of hands) were doing any kind of automated testing. It was, to say the least, a weird flavor of Agile. But I guess, you do what you can do and what works for your team. Finally, I've been yammering here about iPad text editing and Dropbox for a few weeks, so I should mention Droptext, which seems to be the first iOS editor that saves and reads from Droptext. It's rather minimal at the moment (and kind of crashy), but I suspect the mere fact that it reads Dropbox files means that it's automatically useful. Overall, it's been largely non-disruptive, for two reasons. One is that I borrowed a bluetooth keyboard for the duration, and the second is that I'm not in a position at the moment where I need to code on my laptop, since my work site has developer stations. They keyboard changes the iPad experience quite a bit, really turning it into a nice writing station. on "This gizmo really is cool, you know. ", basically, about 75% of my non-coding work was picked up pretty easily. There are about three or four serious gaps in what I've been able to do this week. The biggest is the inability to do serious code or blog editing. I've been trying to find an app that would let me at least poke at the book files this week. Basically, it needs just a few features: a) read/write to drop box, b) support for either markup shortcuts or TextExpander, and c) ability to see non-standard extensions as text. There doesn't seem to be an iPad editor that supports all these features. None of the programmer or HTML editors that are there have the kind of reviews that would lead me to want to buy them site unseen. Maybe in a few months the space will mature. I'm trying MyWritingNook and keeping an eye on the as-yet-unreleased WriteRoom/iPad, which looks like it will be close. Somewhat more surprising, there doesn't even seem to be a decent blogging editor. The WordPress app is horrible -- the editor is very basic, and the only thing that kept me from losing my last post entirely was having been warned that I might, so I pasted the whole thing before I tried to post it. This post is being written using MyWritingNook, which both supports TextExpander and lets me export via email so I can post. I suppose it would be possible to do a link post, but the workflow -- going back and forth between Reeder, Osfoora, and the editor, pasting all the links -- seems daunting. I probably should try one, though, the MyWritingNook flow makes it seem possible. Daniel Jalkut, paging Daniel Jalkut. Please? The other serious gap is generally getting files onto the thing. There's no concept of a podcast subscription, which is irritating. I have files on hard drives that I'd like to see, videos or ePubs, some of these things can be gotten onto the device in the absence of the home iTunes library, but it's not easy or consistent. (Late breaking story -- today the iPad media apps decided to crash and rebuild their library without any of my media files. Doubtful I can fix this before my laptop gets back). There's a minor issue with things that would normally run in the background. IM and Campfire, most notably. (I know you can have IM systems that push... haven't found them to be totally reliable). A couple of widgets that I normally check frequently, that kind of thing. Interestingly, I've only missed Flash a tiny bit. The worst web experience is that I'm forced to use the old MS Exchange web app for client-site email, and its bad enough with a mouse, and borderline unusable with a touchscreen. I had to give a presentation last week. Luckily the slides were in Dropbox, so I could easily import them into iPad Keynote and edit from there. Keynote iPad is very dancing-dog like in the sense that it's so amazing that the dog dances at all that it seems churlish to criticize how well it dances. Still, it's pretty much Keynote light, or as I characterized it when giving my talk, like using Keynote with chopsticks. And I'm very clumsy with chopsticks. Not only is it kind of feature-light, it's just about the only app that makes the iPad feel sluggish (the native iPod app is another). Plus, it was a little crashy. On the plus side, hooking it to a projector via the VGA cable was a snap, and it's often a pain on Desktop Macs. The speaker screen could be a lot better. Overall, though, those things are small potatoes and the overwhelming impression is how not-disruptive it's been to be on an iPad for email, RSS, Twitter, basic text stuff, and so on. The iPad is still snappy, fun to use, and basically great for this kind of stuff. Having the keyboard undeniably extends the power of the iPad -- the soft keyboard is okay for short things, but I haven't gotten nearly as fast on it as I am on a full keyboard, and it does take up half the screen. With a keyboard, it's a really nice setup for writing. It's light -- my backpack is super noticeably lighter this week. Pages is quite responsive for just basic typing (boy would I love to see Scrivener on here, though MyWritingNook seems like a first approximation. I wish something could read my existing Scrivener files, though). It's somewhat ergonomically flexible -- I was able to use it with the pad on a coffee table and the keyboard on my lap and it wasn't bad, and you almost by definition get the WriteRoom-esque full screen experience. The keyboard is acquired and de-acquired quickly enough that its feasible to swap back and forth in the same session. It's got a lot going for it. That said, the keyboard is not fully integrated into the iPad experience. One obvious missing feature is that you can't arrow up and down through a select list, such as the suggestions when you type into the Safari address bar. Reaching over the keyboard to the touch screen to edit feels odd, like interface metaphors are colliding at full speed. It's also hard to see if the keyboard is on -- the only screen notification you get other than the soft keyboard not showing up is the bluetooth symbol in the upper-right. I've accidentally had the keyboard on in my backpack and had to pause to figure out why I wasn't getting the soft keyboard. Still, I've gone from skeptical about the value of a real keyboard as an add-on to seriously considering getting one after I have to give this back. And I'm very interested in what the bluetooth keyboard/iPhone 4 experience feels like. That has the potential to be a very interesting mobile experience. The iPad, in general, encourages a really close feeling with the stuff you are doing. Watching something on the iPad feels like you are curling up with a movie in the same kind of cozy way that you do with a good book. The keyboard gets in the way a little bit, but there's still something amazing about the size to power ratio going on here. I suspect that it will feel very cozy for writing fiction, I just wish I could more cleanly get it to work with my PML pragmatic files. Also, as usual what Charles Stross said. Beta 2 of Rails Test Prescriptions is out. The biggest addition is the chapters on integration testing and Webrat/Capybara. Beta 3 will be coming next week and will include all or most of the Cucumber chapter. Please do post to the forum, there's not any discussion there, and I'm interested to hear any questions or comments you might have. A lot of book links today. SF writer Charles Stross has been writing some brilliant stuff about publishing, including making a great deal of sense about ebooks. One big takeaway, in case you haven't noticed, just because they are digital, doesn't mean the price of books is going to drop dramatically. Speaking of ebooks. Cory Doctorow's new book, For The Win, is out today. Say what you will about Cory, he's become a fantastic novelist, and he walks the walk. For The Win is available for free download on Cory's site. And, hey, speaking of ebooks, Lulu announced that they will allow their books to be published to the Apple iBooks store, which is great, because the iBooks store could use the stuff on the shelves. Twitteriffic developer Craig Hockenberry asked for some books for people to get started with programming, specifically for people hoping to get started in on the iPhone. Here's one Rails developer who has moved to the Smalltalk Seaside framework, and why. Seaside was commonly mentioned in the Rails community a year or so ago, but I haven't heard much about it since. Mathias Meyer says that ActiveRecord callbacks ruined his life. And, NoSql is apparently here to stay. If only we could get rid of the name. This looks like a good reference to possible XSS attack vectors in HTML 5. Jakob Nielsen has come out with the first serious user testing of iPad apps. The executive summary is basically that individual apps are inconsistent, and that is frustrating. Also, many content apps are too wedded to a print mentality. This research seems to have largely been based on content-heavy apps and websites, so I'm not sure it generalizes to, say, Omnigraffle, but it's worth looking at. MacRuby 0.6 is out. Big new features include a debugger, a new interface to Cocoa's Grand Central Dispatch, and a rewrite of the internals of basic Ruby classes. 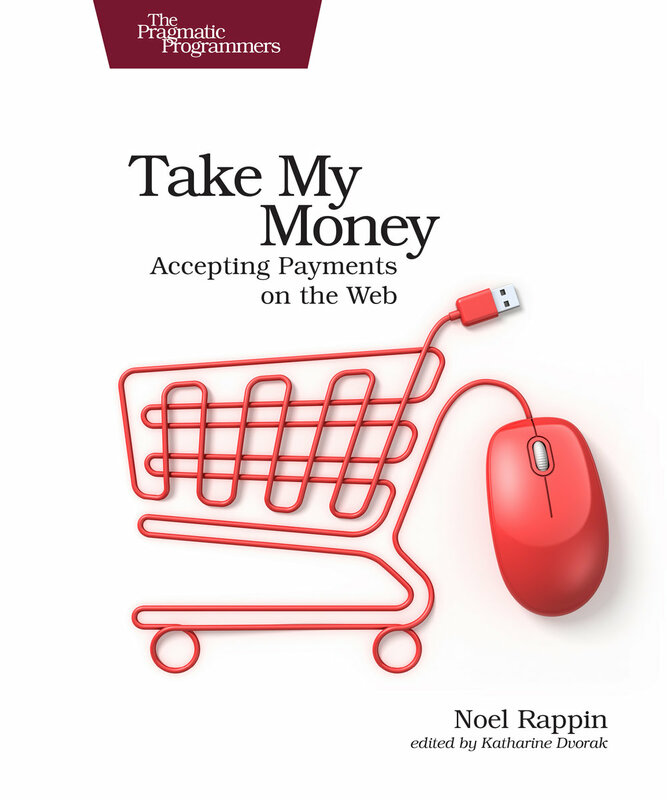 In a related story, the early text of Matt Aimonetti's MacRuby book from O'Reilly is available for free online. Nice job all around. I'm not sure if I've mentioned it here, but I use MacRuby and its ability to manipulate AppleScriptable programs to power my crazy-obsessive iTunes random playlist generator, so speed improvements are hoped for. Still in the Cucumber chapter. Had to go back to the beginning to make sure everything still made sense with Cuke 0.7. The end of proofing what I had is near, but I also need to write about newer features, most notably tags, and I need to make sure I still agree with all the ideas about when to use Cucumber that I had a year ago. I changed the Cucumber in the chapter to use Capybara instead of Webrat, but it broke on test (having to do with a checkbox being checked). Not sure if it's an issue in Capybara, the Cucumber web steps, or me. The book, of course, is still on sale. Lulu raffle tomorrow, so get those address changes in if you need to. Big day for O'Reilly releasing stuff. Obtiva's Own Dave Hoover's book Apprenticeship Patterns was also released for free -- the whole book this time. 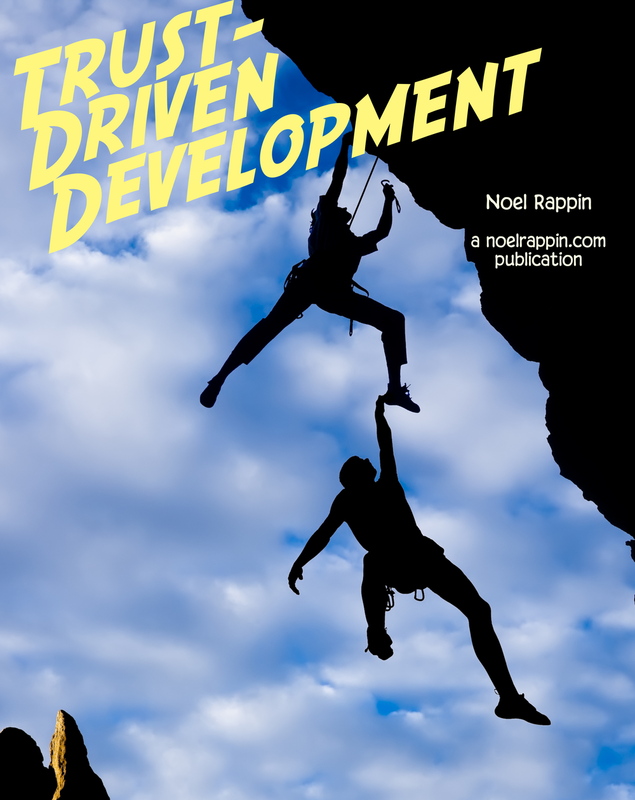 Gregg Pollack put together a big list of links on the official Ruby on Rails blog. All of these were originally covered on Gregg's podcast, Ruby5. Brian Hogan has a set of matchers for using Cucumber with Watir, looks like it gives you in browser tests using a syntax similar to the existing Cucumber web steps, but more detailed. Dropbox for iPad is out as of last night. If you care about that, it's really nice. For me, the top story is still Rails Test Prescriptions on sale, and my discussion yesterday of the raffle for the old Lulu customers. Now re-doing the Cucumber chapter, which was written long enough ago that it didn't consider tags. Cucumber has had approximately seventy-million releases in the interim, so there's some writing to do. This is the first chapter where I'm adding Rails 3 setup instructions, which will eventually go everywhere in the book, of course. Have to say, RVM support in RubyMine is potentially really cool. Kent Beck would like to analogize goat farming and software development. I've heard worse. I know you all have been following this story closely, so you'll be pleased to know that you can now bring your iPad into Israel with impunity. Again, carrying two of them with the roman numerals I to X as wallpaper. Macworld has released an epub-formatted, iBooks compatible, user guide to the iPad. Webrat bumped it's version to 0.7.1. I frequently complain that there's no good visualizer for git repositories. This fork of GitX looks like it comes pretty close, though. I'm pretty sure I disagree with some of this article by Josh Clayton talking about integration tests being more useful than unit tests. He's probably right about integration tests being more useful for ultimate correctness, but that's not everything that TDD is about. Unit tests are critical for the development process, and writing great code in the moment of development, and for supporting design changes and refactoring. Unit and integration tests have two complementary functions, just because they cover the same code doesn't mean they are redundant.